Having fun working on prototypes. I love coming up with ideas for prototypes. Absolutely love love love coming up with new ideas! It's so satisfying to see something that's been tumbling around in my head for a while, usually starting as a fleeting thought, come to fruition through hard work, ingenuity, creativity, and pure damn luck. Some turn out great, ready to go right to production. Others require some more testing and tweaking. I've lately been experimenting with waxed canvas. Coming up with a proper wax mixture took a bit of playing around to perfect, but I think we have a solid process figured out. 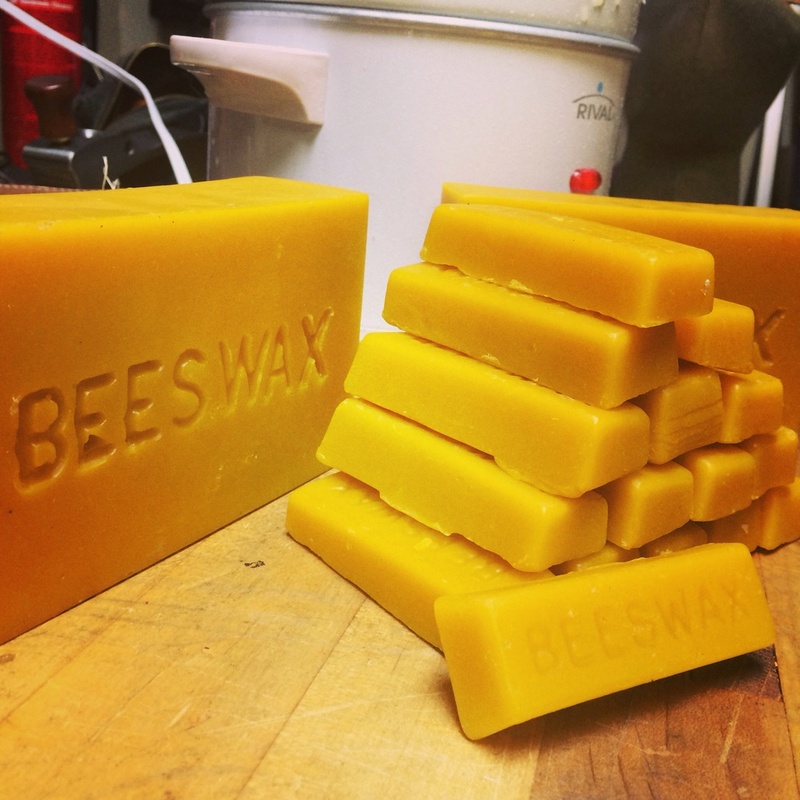 We are using a blend of beeswax, paraffin wax, and mineral oil. I've had a waxed canvas auger bit roll in development for a month or so now. It's now in the testing phase. I have sent a few of these prototypes out to accomplished woodworkers for testing. Once feedback has been established, any changes that need to be made will be and these should be ready for unveiling at WIA in September! Also in the works is a nail apron, again made of waxed 18oz canvas. These feature two pockets for cut nails, a slot for a notepad, a leather pocket for a ruler, nail set, and pencil and a hammer loop that I've yet to integrate. These will have a fully adjustable waist strap that will be secured by copper rivets. These should really turn out nice. "I couldn’t be happier with my new apron and want to say thank you to Jason and Texas Heritage Woodworks for their great work." It's one thing to look at pictures of my aprons. While you can see the attention to detail and the overall potential of the shop apron in a photo, it's quite another to see it in use. 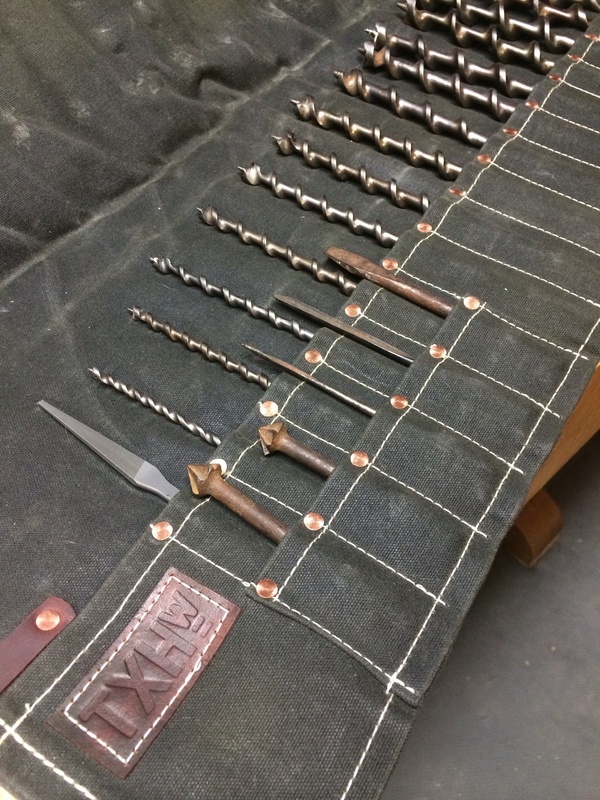 Follow Shannon's blog, he regularly posts wonderful videos on a wide variety of handtool subjects. 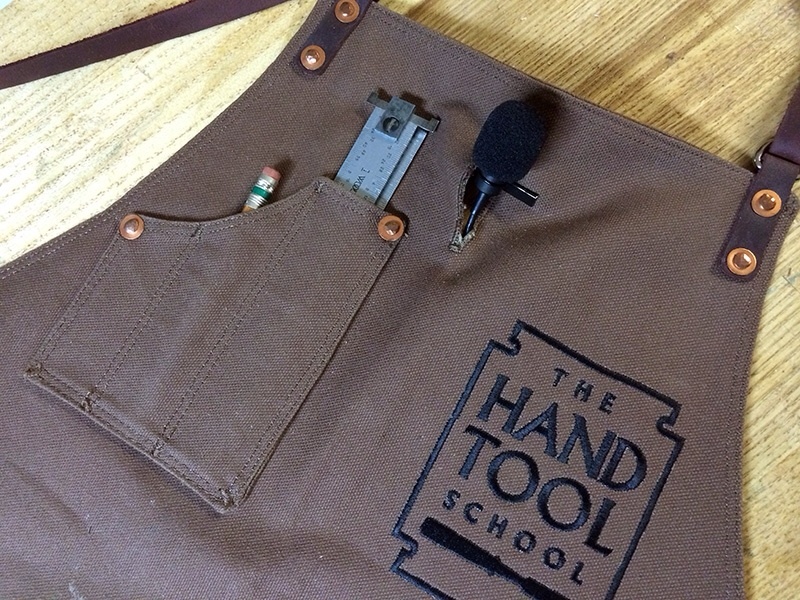 See the shop apron as it's used by an experienced woodworker. You'll be exposed to a wealth of traditional woodworking knowledge in the process. And that's a good thing! For the Dads who like to get their hands dirty in the shop. We feel honored to be in the company of custom six pack holders, mail order grass fed beef, and custom scotch drinking glasses! Lots of great gift ideas on this list. Go check it out and get something nice for your Pop. He deserves it. I love doing custom work. While there is satisfaction in completing large orders of aprons, tool rolls, and coffee mugs, it pales in comparison to the feeling of creating a custom piece. Handcrafting something to fit the exact needs of the person who will be using it is a concept we built our business on. While it's not ideal in terms of efficiency and production, it more than makes up for it with every satisfied customer. I've made a lot of custom aprons these last few months. It's a lot of fun to hash out the details with the customer before construction begins. It's challenging trying to implement ideas the customer comes up with. Some end up as a one-off build, not really practical enough to offer as a permanent option. Others are so ingenious and useful, they've made their way into the rotation for good. Here are a few examples of custom work for you to peruse. This apron was my first, but hopefully not last, two tone apron. It was also the first double graduated chest pocket. I think it was a wonderful concept that the customer came up with. I liked it so much, I made a pattern of the pocket in anticipation of making more in the future. Contrasting stitch color can be intimidating. Any misstep or poor stitches will be obvious. But when executed correctly, wow! The custom embroidery should tell you all you need to know! One of the best choices for customization is embroidery. In the eyes of the customer, it adds an immediate perception of professionalism and pride in your work. For the craftsman, well, it just looks awesome! Another example of custom embroidery. We can stitch almost anything. Contact us for more info on personalization. Sometimes two lower pockets just aren't enough! This simple utility ring has countless uses. Whether it's used as simple storage for a marking gauge or a place to clip your dust collector remote, you will find it is a valuable addition. For all of the Southpaws out there, left handed versions are available!!! The chest pocket and waist strap have been flipped, allowing for greater ease of use for the lefties! This magnetic patch is a recent addition that was conceived by a talented instrument maker. He needed a convenient place to stick small screws and hardware during restorations and builds. There is a small pocket on the back side of the apron that houses a rare earth magnet. The pocket allows for easy removal if necessary. And these rare earth magnets are strong!!!! While it may not be practical to carry around a hammer in this fashion, the coolness factor cannot be denied! This is a custom tape measure holder that was added to my first ever apron order. The leather and rivet construction produce a slim, convenient means for storing a tape measure or pocket square. Once any apron order is complete, I personally wear it around the shop for a half hour or so. Once I'm satisfied that the fit, finish, and overall construction are worthy, I'll add one of our labels and send it out the door to its new owner. We greatly encourage custom orders. If you have an idea or suggestion, let us know! We will work pesky with you to see the concept through to fruition. The shop apron is one of the few tools that gets used every single day. You might as well have one that works the way you want it to! If it's not working for you, it may very well be working against you.